Product prices and availability are accurate as of 2019-04-23 02:13:45 UTC and are subject to change. Any price and availability information displayed on http://www.amazon.com/ at the time of purchase will apply to the purchase of this product. Redback Aviation are delighted to stock the excellent Without Parachutes: How I Survived 1,000 Attack Helicopter Combat Missions In Vietnam. With so many available these days, it is good to have a brand you can trust. The Without Parachutes: How I Survived 1,000 Attack Helicopter Combat Missions In Vietnam is certainly that and will be a excellent acquisition. 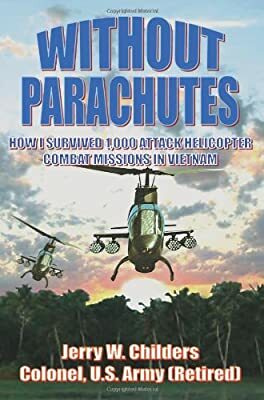 For this price, the Without Parachutes: How I Survived 1,000 Attack Helicopter Combat Missions In Vietnam is widely respected and is always a regular choice amongst lots of people. AuthorHouse have added some great touches and this equals great value. This book straps the reader into the cockpit with an attack helicopter leader as he recalls 3 years of Vietnam combat and a quarter century of flying Army plane. He arrived in Vietnam in 1964 and volunteered to join the world's first attack helicopter company. The Utility Tactical Transportation Helicopter Business (UTT) had actually deployed to Vietnam in 1962. It came equipped with the U.S. Army's brand new UH-1 Huey, a helicopter originally created as an aerial ambulance. The staffs, not happy with a passive combat role, began experimenting with methods to strap weapons on their plane and attack the adversary. Through a deadly process of trial and error the pilots pushed their machines to the edge. Mistakes were made, staffs were lost and lessons were found out. These lessons evolved into combat methods and ended up being fondly referred to as the 12 Cardinal Rules of Attack Helicopter Combat. Upon joining the air conditioning unit the author found out about the rules. He studied them and on his first day in combat, established his own 13th policy. Over his ensuing 3 years in Vietnam, the rules, particularly the 13th, assisted him make it through over one thousand combat goals. This book provides the reader with a cockpit level view of dozens of those goals and explains numerous extra near catastrophe scenarios come across by the author throughout over 25 years flying Army Airplane. 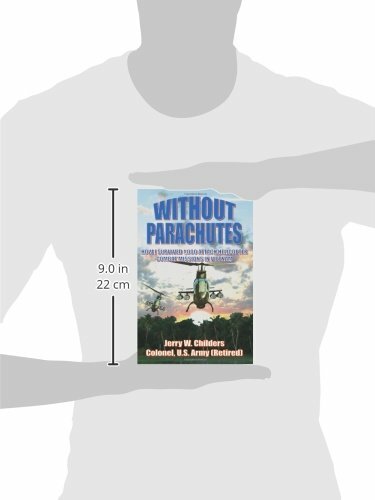 The author succeeds in striking a balance in between the grim truths of combat and the typically amusing facets of life amongst a group of high spirited pilots who fly into the jaws of fatality daily without a parachute on their back. He recommends that the 13 rules, although established throughout a various war and at a various time, are applicable to armed helicopter combat operations in the 21st Century. The book consists of about 200 pages and is perfectly illustrated with 50 pictures.